1. All fish entered must be caught (i.e. hooked, fought, and landed) from a kayak in the state of California, no county boundaries present the whole state is fair game, without the aid of a professional guide, motor, or powerboat(mothership) and using methods deemed legal by the state of California. 2. Photographs with a digital camera providing evidence of the fish size with total length(except Sturgeon and yellowtail and barracuda is Fork length as per DFG rules) of fish taken in the center of the fish in the first picture and then a close up of the tail section must be provided at a minimum. The fish should not be stretched, bent, or manipulated in any way to enhance the fish length. 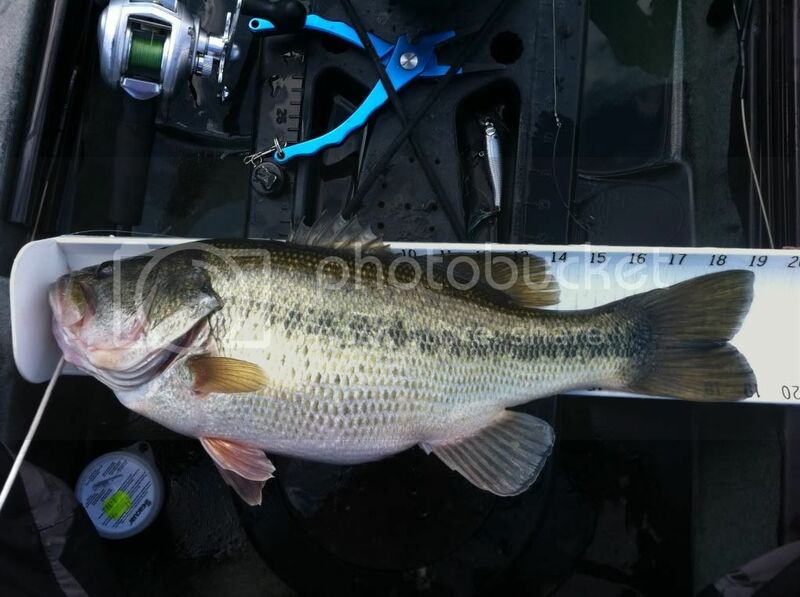 The fish should also be in as natural lay position, mouth must be closed and against the 0 or other even number, and whole fish visible in at least one of the photos. Measurements will be rounded down in 1/4" increments. If there is no picture provided with the whole fish against a measuring devise then the fish will be disqualified. We don't want to disqualify fish because the mouth is slightly open, but want the whole event to be fair so if you are unable to get the fish to keep it's mouth completely shut then there will be a 1/2 inch deduction if on the water. Which adds up quick. So get that mouth on your fish shut. 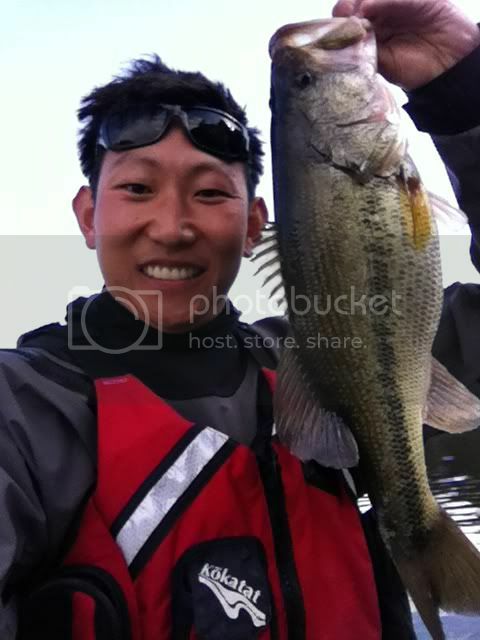 If your taking pictures on shore the fish mouth MUST be completely closed with no gap visible. That being said fish with a wide open mouth will still be disqualified. Decisions up to AOTY committee. 3. 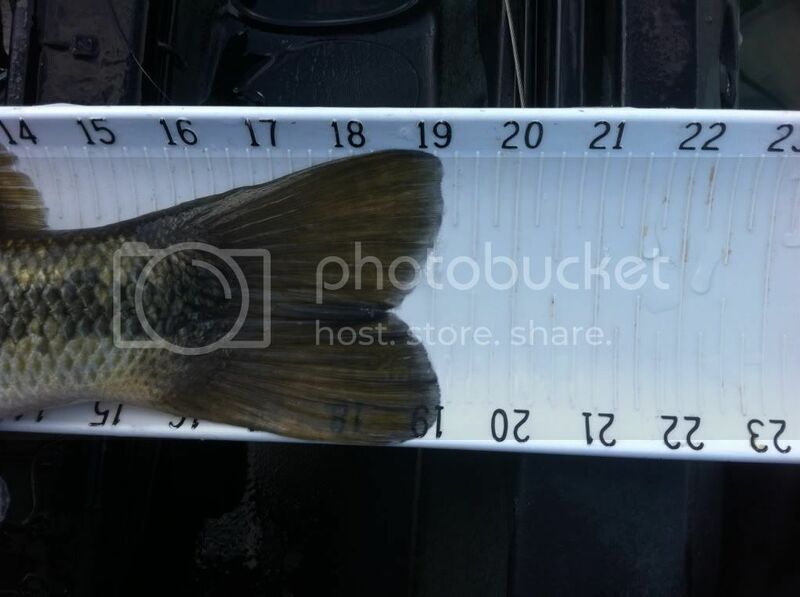 The fish and measuring device should be on a flat surface. Having a measuring trough to assist makes taking good pictures much easier. No laying measuring tape on top of fish must be under fish. We have them for sale ( http://centralcoastkayakfishing.com/cckf/index.php?topic=2858.15 ) or you can contact Rhyak. 4. Dates to enter fish will be January 1, 2015 to December 31, 2015. Fish caught prior to January 1, 2015 are ineligible. Fish caught prior to payment of entry fees are also ineligible. 5. The California Angler of the Year (AOTY) covers the following 27 species Lingcod, Rockfish, California Halibut, Pacific Halibut, Salmon, Cabezon, White Seabass, Barracuda, Yellowtail, Surf Perch, Flounders, Greenling, Calico Bass, Sand Bass, Sheepshead, Sturgeon, Largemouth Bass, Smallmouth Bass, Spotted Bass, White Bass, Striped Bass, Catfish, Crappie, Sunfish, Trout, Kokanee and Steelhead. 7. No out off season or undersize or oversize may be entered. All local water rules must be followed at all times. Including proper measuring of fish per DFW including fork length. 11. Please refer to California DFW handbook for all size limits and any further questions regarding species qualifications. 12. Grand Prize will be Raffled off with a ticket given to each angler that registers for the event, every angler will be given an additional ticket for every 200 points obtained. Top 5 anglers will be given additional tickets being 1st place getting “25” extra, 2nd place getting “20” extra, 3rd place getting “15” extra, 4th place getting “10” extra and 5th getting “5” extra tickets. How to properly measure fork length fish. Photographs with a digital camera providing evidence of the fish size with total length(except Sturgeon and yellowtail and barracuda is Fork length as per DFG rules) of fish taken in the center of the fish in the first picture and then a close up of the tail section must be provided at a minimum. The fish should not be stretched, bent, or manipulated in any way to enhance the fish length other then tail may be pinched. The fish should also be in as natural lay position, mouth must be closed and against the 0 or other even number, and whole fish visible in at least one of the photos. If there is no picture provided with the whole fish against a measuring devise then the fish will be disqualified.